Gosh, I always seem to get on a tangent like that don’t I? And it made me think about how I think that writing down my covenant is one of the things that I did that has helped me… and it was one of the thing that I did not do… and not writing it down held me back a bit. What I didn’t write down… or what I left as very vague… was the thing about avoiding bread. I was not clear like the verse says above. And so, when it came down to it… there was no where for my mind to flash back to. Until I realized it had to be clearly written down… and so about a week and a half ago, I just had to write it down very clearly. And it has helped me tremendously. 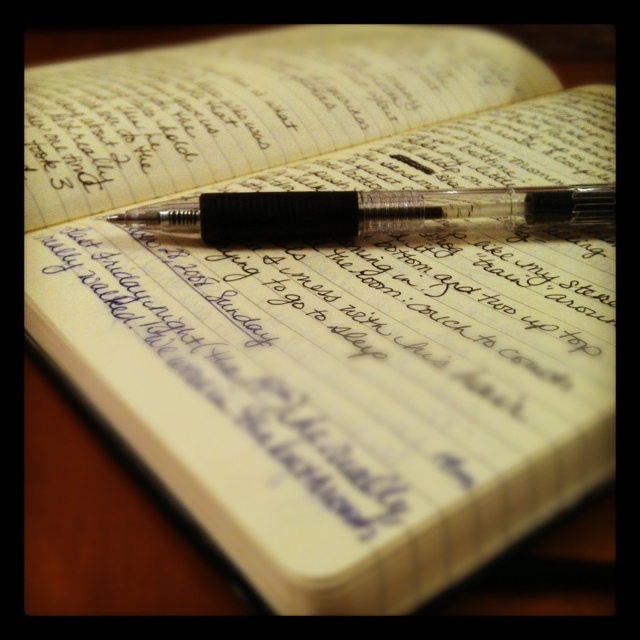 All of that to say, if God gives you a vision, or a revelation, or a whatever… write. it. down. In that verse above, it was written down so that others might be able to read it. Not for him to be able to read it. There is a reason that God wants us to share as much of ourselves as possible… call it accountability if you want, I don’t think you need a “name” for it… just know that when someone else knows your heart, your thoughts, your hurts, your joys… it just helps. So, start a blog. Open a twitter account. Get some post-it notes. Text your best friend. Facebook a revelation. Open one of those journals that you got for graduation that has been sitting in your closet for the past howevermany years.